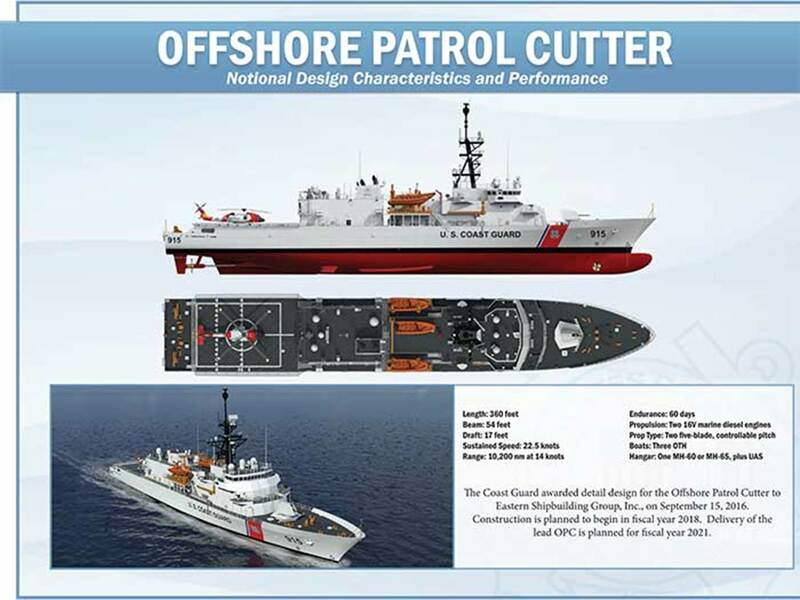 This entry was posted in Budget, Fast Response Cutter, FRC, national security cutter, NSC, Offshore Patrol Cutter, OPC, OPV, Shipbuilding, Ships by Chuck Hill. Bookmark the permalink. Congress has been pretty good about giving the Coast Guard more than the Administration has asked for, for the few years. Congressional Research Service’s job is to lay out choices before Congress, that is why the wording. what is the chance of getting a 12th NSC? If you had to guess? @secundias: Right, the point on NSC#12 Lyle and Chuck are talking about MAY (I said “might” earlier) depend on FFX. IF the Navy narrows to HII, HII would have extra motivation to push for #12 selling it to Congress to keep the line hot for one more CG NSC while waiting for final approval of a frigate contract. All depends on who is selected, timing, and perceived need by HII, USN, and Congress… If any of these factors do not play out, I agree with Chuck #12 is unlikely.